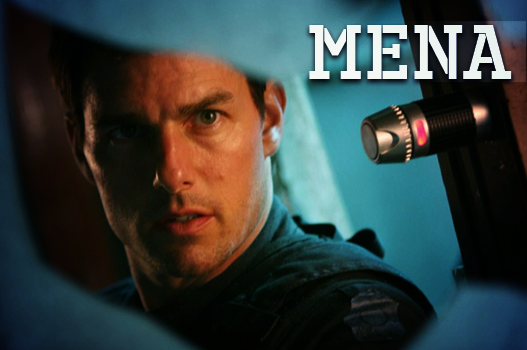 Tom Cruise’s upcoming movie, Mena, is in the works and currently, casting directors of the feature film are looking for talents in Atlanta, Georgia, to fill in some stand-in roles. According to reports, Mena is based on the story of Barry Seal, a pilot who was a gun runner in the 1980s and was recruited eventually by the Drug Enforcement Administration to provide information for them. However, he was shot later on and killed in Baton Rouge. Directed by Doug Liman and written by Gary Spinelli, Mena will feature Tom Cruise as Barry Seal, Sarah Wright as Lucy Seal, Jayma Mays as Dana Sibota, Jesse Plemons as Sheriff Downing, and Lola Kirke as Jude Downing. As the production of the movie continues in Ball Ground and Atlanta, Georgia, they want to cast a Caucasian male with a sandy blond hair and a height of 5′ 9” – 5′ 11” for a stand-in role. Meanwhile, they are also seeking for a brown-haired Caucasian female talent, standing at 5′ 7” – 5′ 9” tall. Also, a Caucasian male is needed with a light red or strawberry blond hair. You must possess a height of 5′ 11” – 6′ 3” to be considered. Selected stand-ins will be working on a scene to be shot from May 21 through the middle of July. They are also seeking for Latin American men to play soldiers. A compensation of $64 will be given to those selected for 8 hours of filming starting in June. Filing of applications are only until June 18, 2015. For further details, click on the ‘Apply for This Job’ button below. Looking for experienced stand-in with sandy blonde hair to work on the upcoming movie. Possibly begin to work on Thursday, May 21st through mid July. Looking for experienced stand-in to work on the upcoming movie. Looking for experienced stand-in with light red hair to strawberry blonde hair to work on the upcoming movie. A marketing writer for several years, I have recently shifted my focus into entertainment. I have been working as a freelance writer for various websites for more than a year now.